Nose: Dry. Juniper, pepper, citrus, alcohol. On the palate: Full-bodied and sweet. Some spice does come through but not a lot. Tangerine, maybe. Finish: Sweet at first, then shifting into a warm, dry spice. Still some tangerine in the background though. Mixed: Very nice in a Tom Collins. The lemon juice really complements and enhances the Black Pepper and lemongrass. Performs well with tonic, too. Adds a slightly bitter, spicy bite. Does very well in a dry martini, as long as one goes easy on the vermouth (I tend to overdo it sometimes). The black pepper really comes out and adds an interesting element. Would probably work very well in a dirty martini. 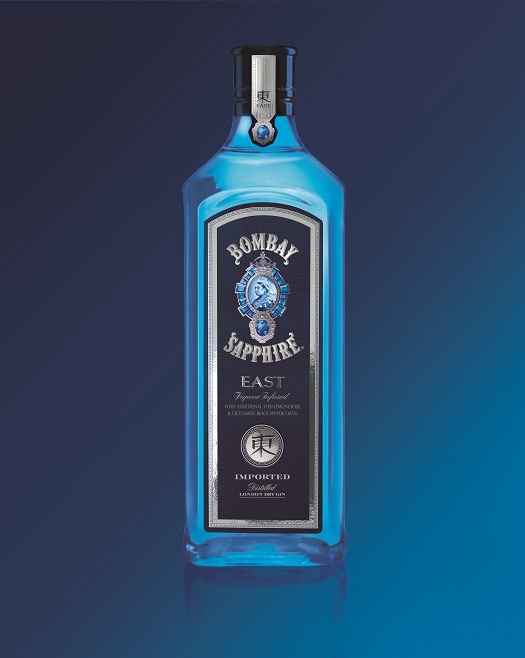 Parting words: Not much else to say about Bombay Sapphire East. It delivers on its promises. It adds Southeast Asian tang to mixed drinks. I’ve only seen it in travel retail shops around here, but it may be available elsewhere. Pick one up the next time you make a run for the border. Recommended. Never even heard of Sapphire East…intriguing. Yeah, it’s not bad! Got it coming back through the tunnel a few months back. Ha! No! Not letting Detroit’s answer to Mr. Burns get my money! Well, at least not all of it. You & me both! Can’t wait until November!